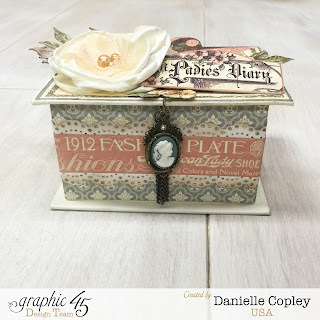 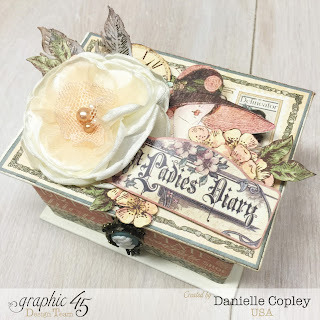 With Mother’s Day coming soon, I was inspired by the elegant ladies in A Ladies Diary Collection to make my mother a beautiful gift using a Staples ATC Book Box. I love how easy it is to put together a project with a Graphic 45 Staple and a Deluxe Edition Collection. The tag mini inside is the perfect size for inspirational quotes, tiny photos or coupons. 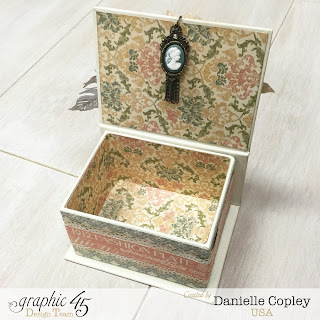 I hope she likes it! 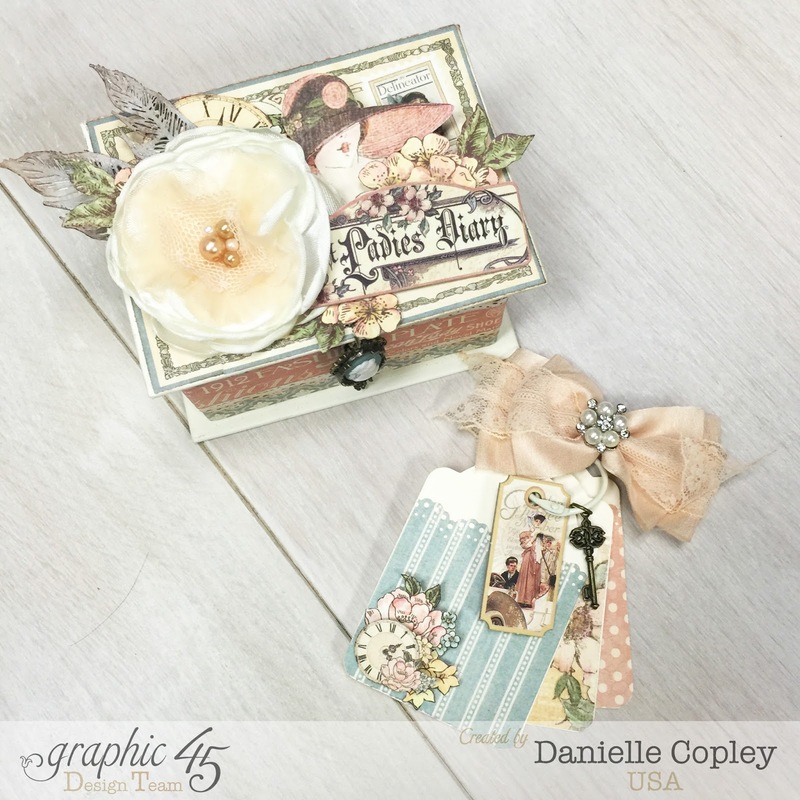 Check out the Graphic 45 blog for more inspiration from Belly Lau and her elegant Hat Box and Album. She even has a tutorial!